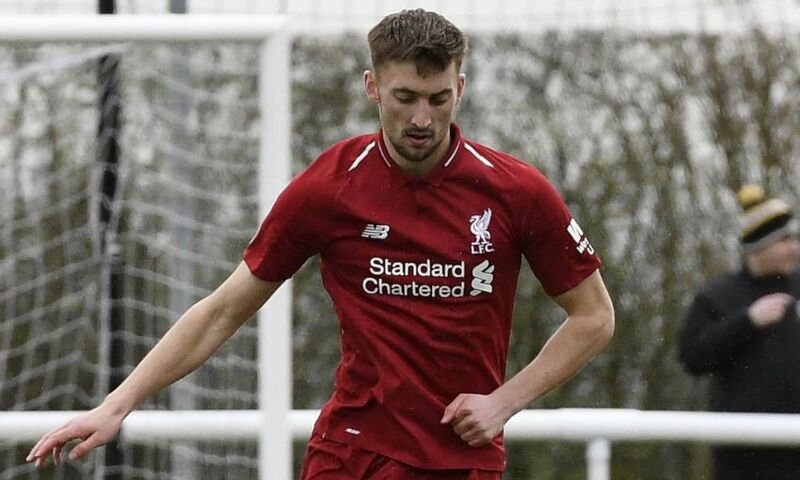 Nathaniel Phillips was delighted to clock up 45 minutes on his return for Liverpool U23s in a 3-1 win over Derby County on Friday afternoon. The 21-year-old centre-back, who had been sidelined since November following ankle surgery, started the Premier League 2 game for the young Reds. Phillips joined England international Alex Oxlade-Chamberlain in making a return to action at Derby's Training Centre - and was pleased with his comeback. "I'm really happy to have got 45 minutes under my belt," the defender told Liverpoolfc.com. "It was important for me and I enjoyed myself out there, I'm so happy. I just want to get as fit as possible now and get back to full fitness." Neil Critchley's side made a return to winning ways courtesy of two goals from Curtis Jones and another by Rafael Camacho. Phillips felt it was a deserved victory for the young Reds. "I thought the lads did well," he said. "It was a decent performance and wasn't an easy game, it never is against Derby. "I thought we executed our game plan well and took the points home. "We pressed them really well and always looked like we were going to score. I thought we played well as a team throughout." Phillips also welcomed the return of Oxlade-Chamberlain, who played 40 minutes of the match in his first action after an 11-month absence. "I was really happy to see him back and getting some minutes," he said. "I thought he played well and showed his class. We are all really happy to see him getting some minutes."